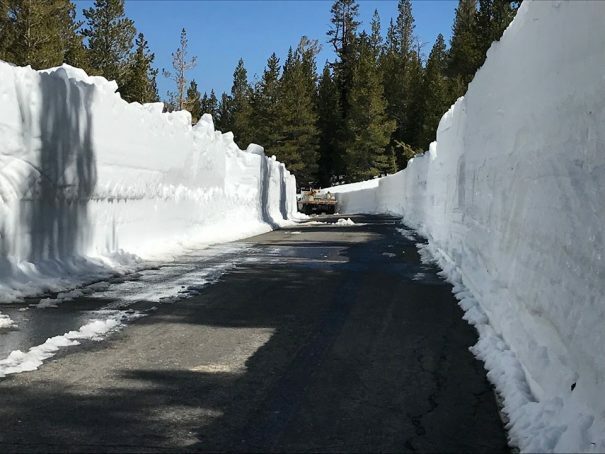 Updated 4-26-2018 – Hermit Valley, CA…From Caltrans District 10…Check out the wall of snow that our crews are battling through on their way to the summit of Ebbetts Pass during the annual clearing of the Sierra Passes to get the routes open for the summer season. 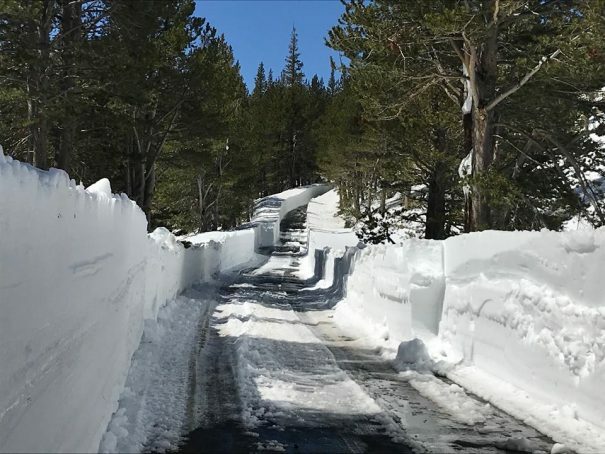 Caltrans Woodfords Area Lead Worker James Adams sent the shots of the east side of State Route 4 where the road crosses over the PCT very near the summit. 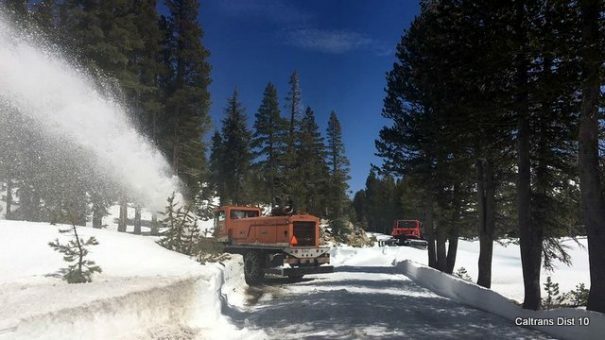 Lake Alpine, CA…From Caltrans District 10…”Camp Connell Area Maintenance Supervisor Mike Johnson made his way up Ebbetts Pass (SR-4) yesterday and sent back some photos of his crew working their way to the east end of Mosquito Lake at the Pacific Grade Summit. Mike reports that the snow is usually deepest at the old corrals at Sandy Meadows and that they didn’t expect to be that far along until later in the week. Warm weather and a new piece of equipment they are using this year are helping them make even better progress than anticipated. There is some damage to the road that will need to be fixed, but at this point he thinks they will be able to knock it out pretty quick. The crew will keep plowing towards Hermit Valley and on up to the summit of Ebbetts Pass while another crew handles the necessary repairs. 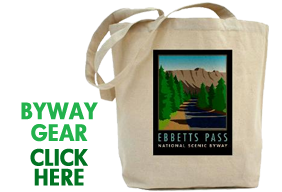 Ebbetts Pass itself remains closed. 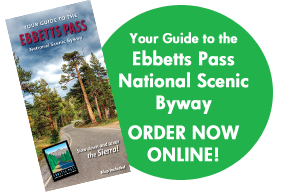 Caltrans strives to have all passes open by Memorial Day weekend.